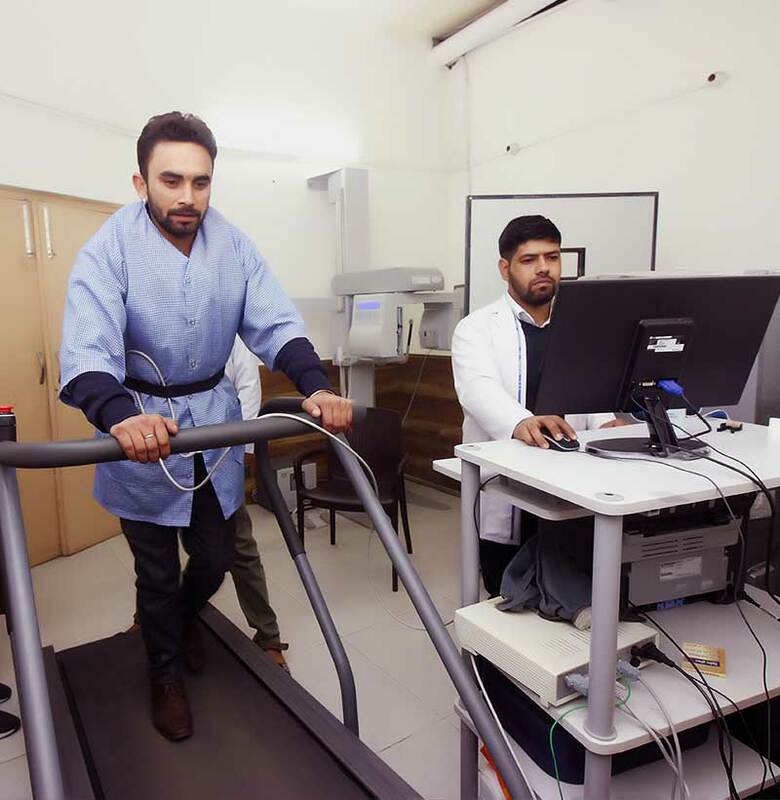 A stress test sometimes called a treadmill test or exercise test, helps a doctor find out how well your heart handles work. As your body works harder during the test, it requires more oxygen, so the heart must pump more blood. The test can show if the blood supply is reduced in the arteries that supply the heart. It also helps doctors know the kind and level of exercise appropriate for a patient. A person walks slowly in place on a treadmill. Then the speed is increased for a faster pace and the treadmill is tilted to produce the effect of going up a small hill. One can stop the test at any time if needed. Heart rate, breathing, blood pressure, electrocardiogram (ECG or EKG), and how tired you feel are monitored during the test. Healthy people who take the test are at very little risk. It's about the same as if they walk fast or jog up a big hill. Medical professionals should be present in case something unusual happens during the test.